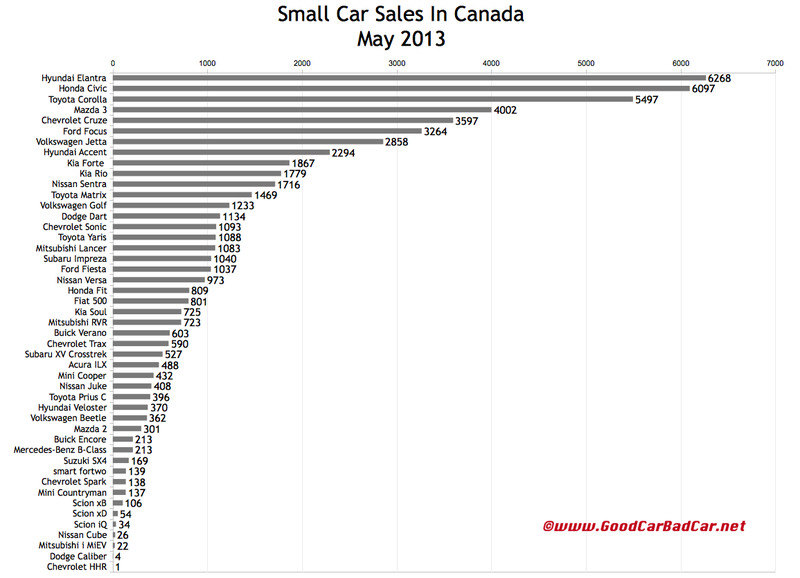 5.2% of the new vehicles sold in Canada in May 2013 were subcompact cars. The second table below isolates these nine subcompact cars. Only four of the nine reported year-over-year increases. Canada’s nine leading compact cars, from the Hyundai Elantra to the Nissan Sentra, owned 19% of Canada’s overall new vehicle market. Dodge Dart sales rose for the fourth consecutive month and reached the highest level yet. Combined, the Toyota Corolla and Matrix have outsold the class-leading Hyundai Elantra, Canada’s best-selling car, by 27 units this year. Year-over-year, sales of the Honda Fit more than doubled in May. 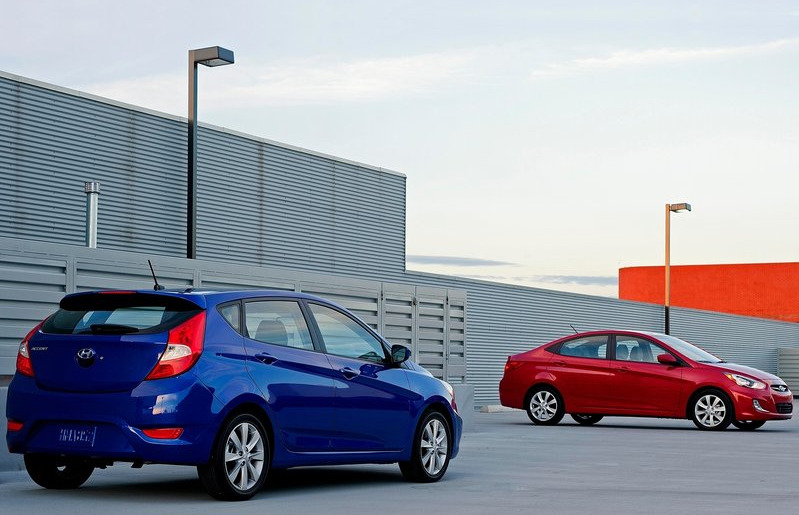 Sales of the Ford Fiesta fell 41% in May and are down 32% through five months. The usual subcompact leader, Hyundai’s Accent, is down 25% this year, having slid 35% in May. Challenged of late by the Kia Rio, the Accent has recorded nine consecutive months of year-over-year decreases. Together, the Hyundai-Kia fraternal twins grabbed 41.7% of the subcompact market in May. You can click any model name in the tables below to find historical monthly and yearly Canadian sales data. You can also select a make and model at GCBC’s Sales Stats page. These tables are now sortable, so you can rank small cars any which way you like. Suggestions on how GCBC should break down segments can be passed on through the Contact page. GCBC isn’t here to break down segments, an impossible task for any group, but to display sales data for the sake of comparison. The more ways sales data can be displayed, the better, right? This explains why you’ll see the Encore and XV Crosstrek are listed with small SUVs, too, and the Acura ILX shown with mainstream cars is also displayed with luxury cars… because readers have wanted it both ways. You can always find the sales results for EVERY vehicle and form your own competitive sets by using the All Vehicle Rankings posts.